There is nothing as annoying and irritating as having to use public transportation just because your vehicle broke down. For some people it’s even more inconvenient if they live far from the bus stop. What makes it worse is the fact that the bus or train will stop at every stop to let commuters in and out. This makes it slow. It is expensive and time consuming. This means you need your automobile working and in good shape! We are here for you and at your service. There is no way of telling when your car will break down, but there is a way of preventing it from breaking down, and that’s called recommended scheduled maintenance. Having a personal mechanic works best since your car is like your own body which needs constant care and, if ill, cured by your personal doctor. That’s where we come in. We want to be your personal mechanic. By visiting us for your factory scheduled maintenance we will ensure that your car is in good shape and is always fit for the road. This will greatly reduce the chances of your car breaking down. Our mechanics have inspected and repaired a wide variety of car makes & models with different types of problems. Most people fear taking their cars for repair because they fear the Prescott, AZ mechanics are not qualified. 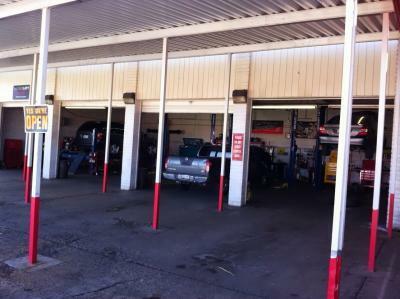 Our company is constituted of a team of certified, qualified, and honest Prescott, AZ mechanics with years of experience. Check out our reviews to see what our customers are saying about us. You’ll love us too!